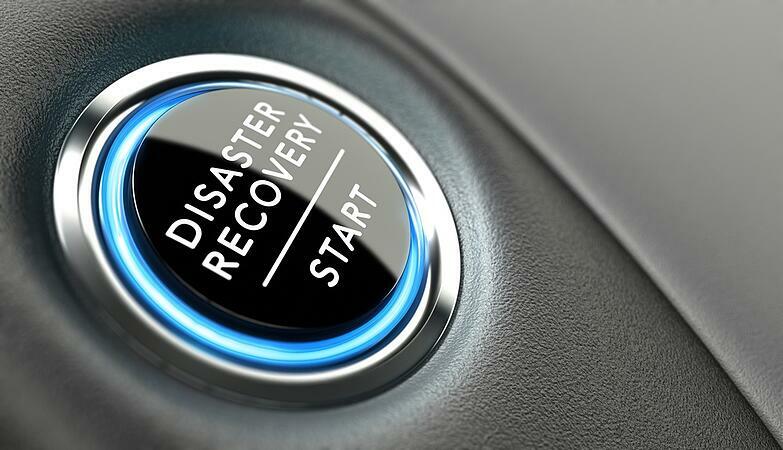 Does Your HR Management Process Include A Disaster Recovery Plan? Disasters can happen anytime and anywhere. Whether it's an earthquake in California, a tornado in Oklahoma, or a hurricane in Florida, businesses must be prepared to recover quickly and provide for their employees. In 2017 we have seen the vast destruction of Hurricane Harvey, and the lingering impact over a month later, including 75 deaths and economic losses estimated at between $70 to $200 billion. Then came Irma, vast wildfires in numerous western states, and many lesser disasters. Whenever businesses are impacted by these and other disasters the prospect of missed payrolls and employees being deprived of much needed finances looms large. And the disasters do not have to be natural to be devastating. And it’s not only natural disasters like floods, storms, and fires. After the 9/11 disaster, FedEx couldn’t fly for days. According to a recent study by the Harvard School of Public Health, only one-third of businesses felt they could sustain operations without severe operational problems if half their workforce were out for two weeks with H1N1 (also known as “swine flu”). The bottom line is that most any business is subject to the effects of a disaster that may occur and a contingency plan is essential. Human resource departments should have a few contingency plans in place to ensure that critical functions can be quickly restored or replaced when needed. Unexpected events can cause critical disruption to business and it is always better to be prepared for something that hopefully won't happen. An analogy of sorts is the family car that has a gas can, tire jack and spare tire in the trunk. They may never be used, hopefully, but the peace of mind that comes from knowing they there, if needed, is priceless. And a "disaster" need not be cataclysmic to cause major disruption for a business. Something as simple as a broken water pipe, an office fire, or even a major snowstorm can cripple or even shut down a business. Every business, large and small, should have a disaster recovery plan, also known as a business continuity plan, which involves input from management, supervisors and employees, as appropriate. The plan should include mobilization procedures, notification guidelines, call trees and other pertinent information for the business as well as plans for crisis management. The purpose, of course, is to ensure that your business won’t suffer crippling financial loss or total business collapse because of an emergency. This advance planning and preparation will pay out in huge dividends in the event of an actual disaster. Critical operational decisions can be made quickly and efficiently in the midst of a crisis situation. Having functioning data and back-up systems means your business will continue to operate. And sensitive or confidential information, as well as business and employee documents will be available, even if the originals are destroyed. There are a number of essential steps that should be implemented, but every business is different and the needs will vary from one organization to another. For example, a hospital will have somewhat different needs to plan for than a retail store. You should have up-to-date alternate means of contact for all of your staff and important clients or vendors. This should be a list of 24-hour emergency numbers for all your employees. In addition, you should develop an alternative means for being available to employees should they need to contact you. Make sure you regularly back up any important data, such as accounting and employee information, as well as customer and inventory lists. These need to be backed up consistently in off-site storage, or in the cloud . Ensure that all of your company's insurance policies are current and that your business is adequately covered for property insurance. Payroll insurance is a good idea. Another recommended coverage to consider is called business-interruption insurance. This insurance covers lost income in the event the business is forced to shut down temporarily. If possible, have a plan for continuing your business operations even if you lose your place of business, or it becomes unusable. If you and your staff can work remotely and stay in communications, that may be a viable and temporary solution. Otherwise, you will need to secure a temporary location where you can set up shop, if needed. Simply drafting a set of plans is not enough. You must periodically test your plans in order to be sure that they are still feasible. Your recovery and contingency plans should also be updated any time there are substantial changes to your business. The objective is to mitigate business interruptions and financial loss in the event of an emergency with advance planning and preparation. Considering alternatives such as outsourcing is increasingly becoming a cost-effective and strategic option. Accuchex can help you in managing your HR needs, payroll processes, and staying on top of compliance demands. At some point in the growth of your company it makes sense to consider other options for maintaining and managing the vast number of tasks and functions that fall under the HR department. While newer software and automation are certainly viable and beneficial options, it can often be far more cost-effective to outsource. If you are considering outsourcing some or all of your payroll processes, give us a call. Let Accuchex help you in managing your HR needs, payroll processes, and staying on top of compliance demands. Feel free to reach out to us at 877-422-2824.